Is The Ecoboost Really A Proper Ford Mustang? 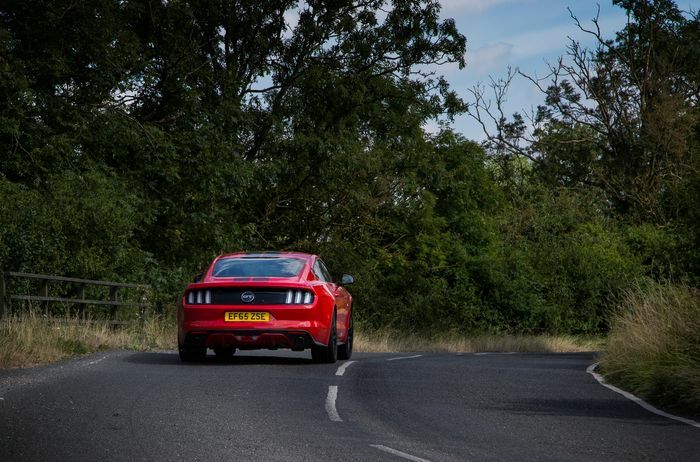 While running our V8-powered Mustang GT longtermer, we had a burning question to answer: how does it compare to the Ecoboost? It’s funny how the perception of the Ford Mustang differs on this side of the pond. In North America I guess it’s always going to be just a Mustang, even when there’s a new one on the block. But here in the UK? It’s rare, exotic and interesting. Maybe that’ll change now we have a steady stream of right-hand drive cars being sold through official channels, but for now, the Mustang gets a hell of a lot of attention. And it must be purchased as the V8 ‘GT’, right? With our absurdly high petrol prices, the expectation was that most Brit Mustang buyers would go for the much more economical 2.3-litre Ecoboost. 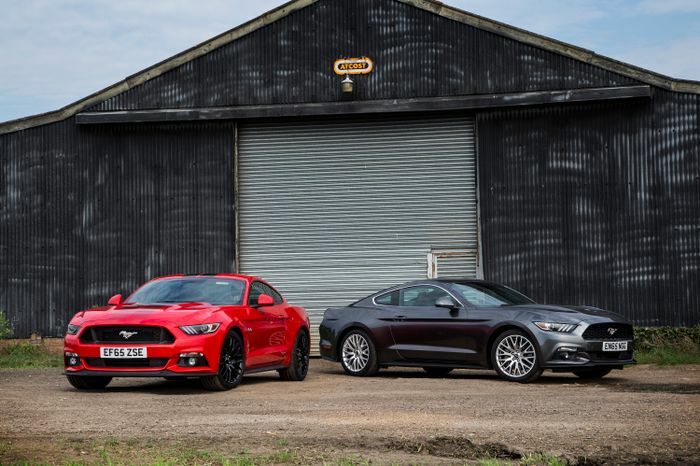 But no: since launch, UK Mustang sales have been dominated by the V8, and although Ford UK had been expecting that to level off, nearly 70 per cent have gone for the GT since the pony car launched here. So is that the right choice? 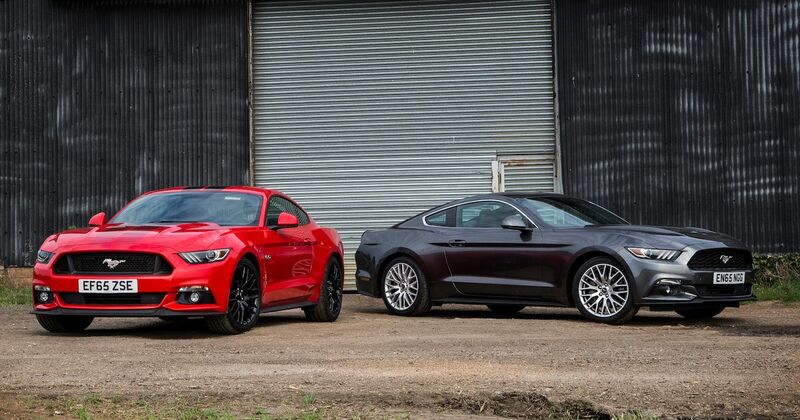 Is the Ecoboost a viable alternative and a ‘proper’ Mustang? Naturally, we had to find out by getting an Ecoboost together with ‘our’ V8 GT longtermer a few months ago. Certainly in terms of aesthetics, there’s little to tell the two apart - inside or out. Only the geekiest of car fans will be able to tell if you’ve gone for the sensible ‘Stang - until you prod the starter button, that is. Doing so in the Ecoboost sees the four-cylinder turbo engine up front cough to life and settle into an un-exotic drone, whereas the - admittedly slightly muted - V8 rumble of the GT is sure to stimulate the hackles of any petrolhead’s neck. The 5.0-litre ‘Coyote’ engine is far from the most interesting eight-banger I’ve used, but a brand new V8-powered car for £35k? That’s unheard of in these parts, and rowing through the gears with the sound of freedom filling the cabin is addictive fun. As far as USPs go, that’s a strong one. It’s important to remember though that even with 420bhp sent to the correct wheels and a coupe body, this is not really a sports car. It’s not trying to be either, and if you do attempt to drive it as such, you’ll be disappointed. It’s competent enough with a surprising amount of rear-end grip (and tricky when you eventually run out of grip - take care if you want to avoid to contribute to the unrelenting stream of Mustang crash jokes), but it’s not a car that enjoys fast changes of direction. It feels heavy and at times cumbersome, and the steering is woolly. The suspension is lacking in sophistication too, managing to somehow be harshly firm yet wallowy at the same time. When getting behind the wheel of the Ecoboost for the first time, I was expecting more of the same, but in a slower package. But my word, changing to a lighter, smaller engine that stores its central mass so much further back makes one hell of a difference. There’s an eagerness, a tenacity to the front end that’s conspicuously missing in the GT. It’s the more agile car, and while it still isn’t a sports car, it’s much closer to the description than the GT. It’s not like you’re giving away much in speed, either. Sure, the Ecoboost gives away almost 120bhp and a whole second during the 0-62mph sprint (5.8 seconds vs the GT’s 4.8sec dash), but thanks to a thumping mid-range torque delivery it doesn’t feel all that far away. I could do without the weird, fake sound that’s piped in through the speakers. It seems like a ‘proper’ Mustang to me, and let’s not forget, it has a similarly-powered ancestor in the form of the Mustang SVO. It even had the same size engine as this. But if I had the cash lying around, would I make my Mustang Ecoboost flavoured? I’d have to say no. Even without the bright red paint and brilliantly unsubtle racing stripes of ‘our’ GT, the Ecoboost I drove still got plenty of attention. But I always felt like a bit of a fraud behind the wheel, like I didn’t deserve the looks and the smiles. The admirers reckon I’m in a V8 slice of the American Dream, not something with a common or garden turbo four banger thrashing away under the hood. I also missed the big ol’ V8 every time I drove the Ecoboost, and interestingly, the fuel economy differences weren’t as big as I expected them to be. While we didn’t have time for any terribly scientific tests, generally the Ecoboost would do 17mpg on a country road thrash, while the GT did around 13. On a long cruise you can eke out 38mpg out of the Ecoboost’s 2.3-litre, but get this: I managed 33mpg in the GT. Not bad for an engine twice the size and with double the cylinder count, no? Yes, the difference between those figures is large enough to sting over time, and of course the Ecoboost is £4000 cheaper, but if you’re anything like us, the extra noise and power should make up for that. Recommended car throttle shop Worldwide Shipping In The CT Shop Car Throttle Submit Your Videos To Get Featured On Our Social Channels Features BMW i8 Roadster Review: Take Away The Roof, And The Desire Grows Features I Drove A Jaguar F-Type Rally Car And It Was The Right Kind Of Ridiculous Features Renault Megane RS 300 Trophy Vs Honda Civic Type R: The FK8’s Reckoning? Features Kia Stinger GT 2.0 Review: Should Be The Pick Of The Range...Isn't Features 5 E30 M3 Alternatives You Can Actually Afford Features Alfa Giulia Veloce Review: More Appealing Than The Quadrifoglio? Features I Really Want A First-Gen Honda CR-V, And You Should Too Features Honda Civic Type R vs Mercedes-AMG A35: Do You Even Need 4WD?